This bulb is also considered teal. These are a direct, non-ghosting replacement pinball LED for the 44/47 style base. This is a frosted pinball LED that does not ghost. 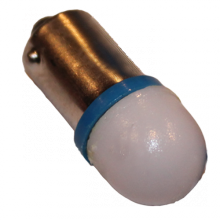 Great for replacing pinball LEDs that will ghost on your game.